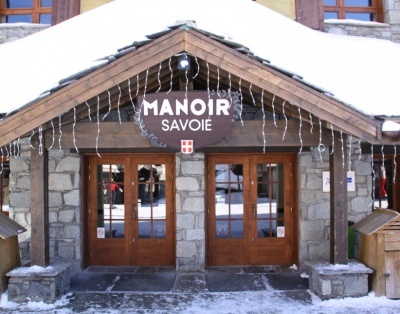 This privately owned 3 bedroomed apartment in Manoir de Savoie, sleeping 8, having 3 double/twin bedrooms, one with en-suite bathroom, separate shower room and separate WC. 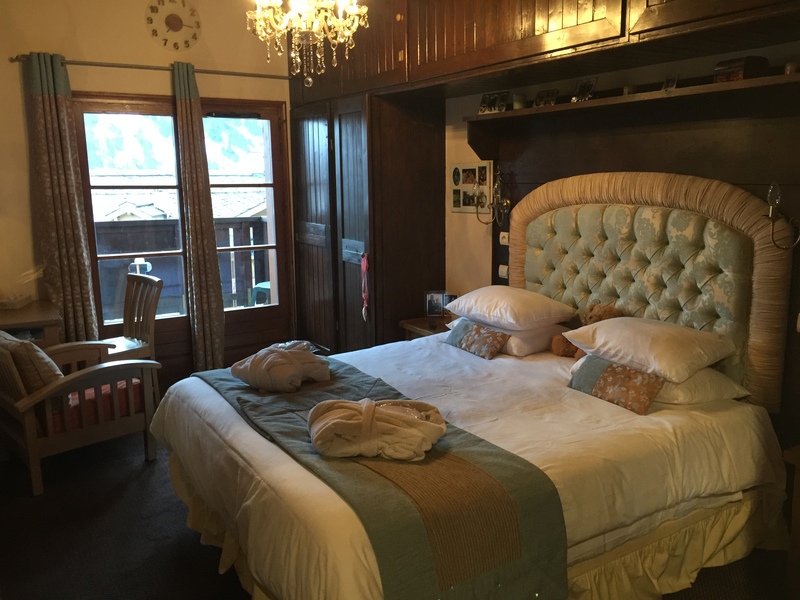 Each bedroom has either a super-king sized bed or 2 x twin beds and there is a large double sofa bed in the lounge. 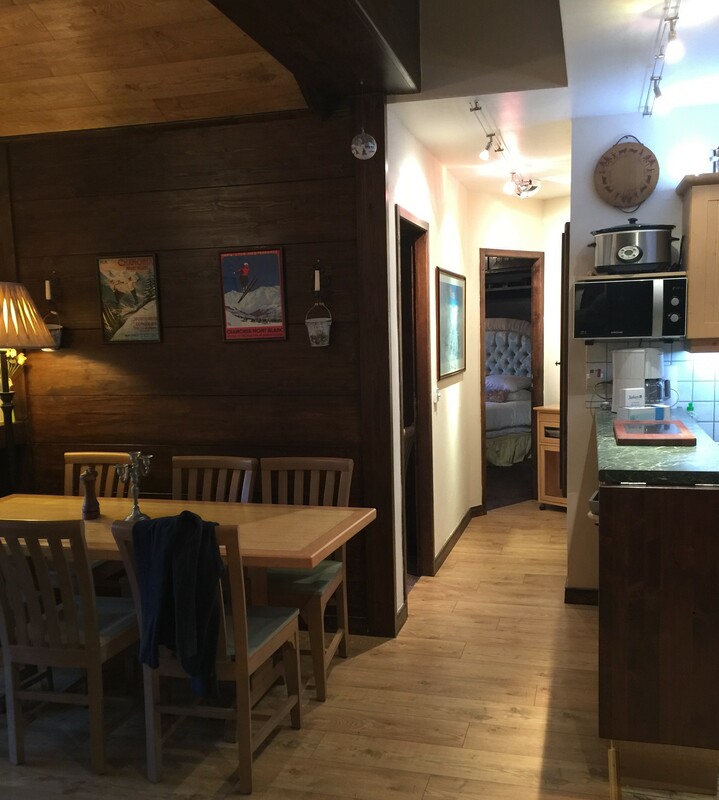 The apartment has been completely refurbished in the last 2 years, having a magnificent, large en-suite master bedroom with a vaulted ceiling which has room for an extra bed for a child should this be needed. The second bedroom also has space for a child’s cot or mattress on the floor for children. The living area has new oak flooring with rugs for comfort and a has the luxury of a lovely open fireplace for extra warmth. The kitchen has a new induction hob and American fridge freezer, along with a conventional oven and grill, a microwave and slow cooker. 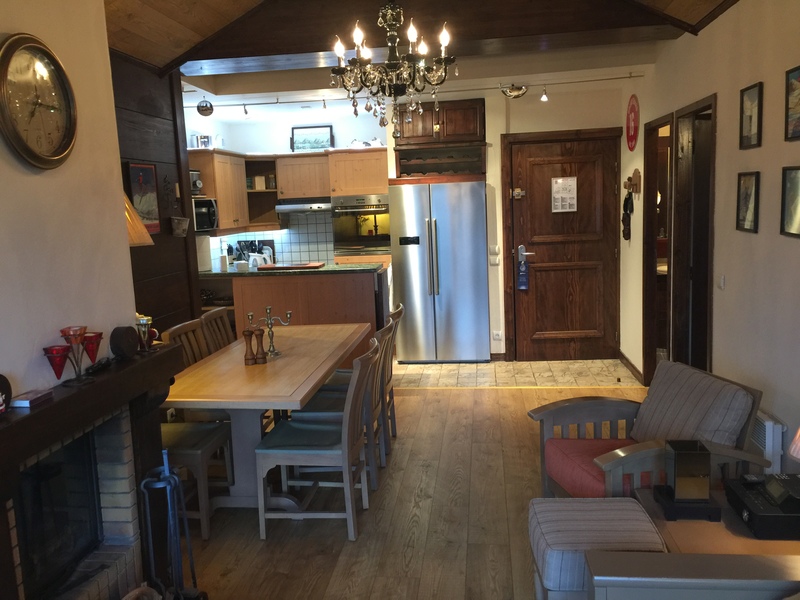 It is fully functional and suitable for those who like to cook in the evenings with all the basic food requirements provided. There is ample storage throughout and the apartment is very quiet, being at the end of the corridor and high up. 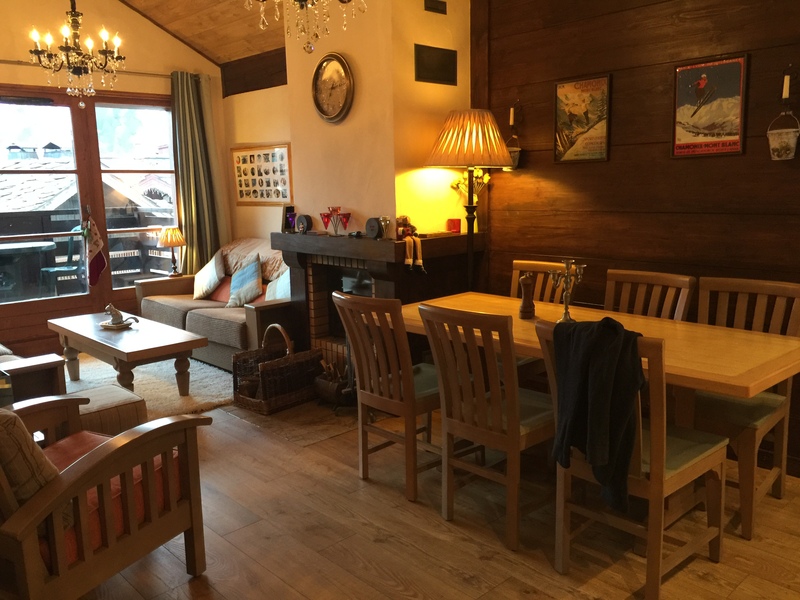 There are lovely mountain views from the living area and as with all apartments in 1950, it is ski-in, ski-out with the two main lifts being just below the residence. There are two ski lockers accessed by the main lift system and these lead out onto the piste below. There is a large outdoor heated swimming pool, indoor jacuzzi, sauna, steam room and gym all free of charge to residents.